As you might already know if you read my post on Home Decor Flash Sale Sites, my boyfriend and I just recently moved into our new apartment and it's completely unfurnished. Of course, consistent with New York City living, our apartment is a tiny one bedroom. However, although the space is small, we each still have a tiny sliver of space in the apartment to call our own. He has a mini bar cart in the living room where he creates his own concoctions and conducts his drink experiments, while I have my vanity in the bedroom. Due to tight space restrictions, I needed a vanity that was small in size but loaded with storage. It was a hard combination to meet, but after a month or two of searching I found the perfect small desk! 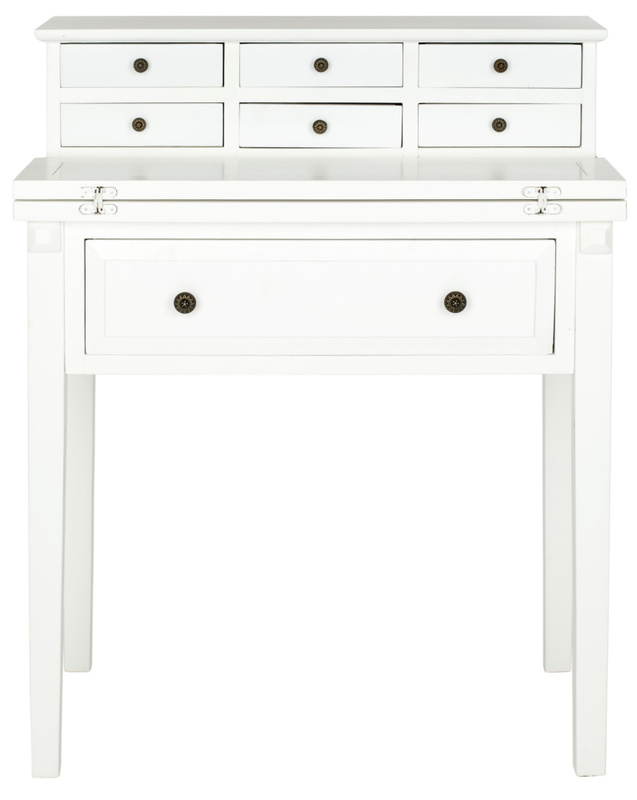 The desk does not take up too large of a footprint, but it has 7 total drawers, the top 6 of which are perfect for storing makeup. It also has an expanding leaf that easily folds back into the desk when you're not using it which saves even more space. I love the bones of this desk, but the knobs absolutely have to go! I'm planning to do a DIY and make my own druzy/gemstone knobs. My current plan is to replace the top 6 drawer knobs with druzy knobs, while the bottom two knobs will probably be more traditional (I'm thinking gold pulls or maybe even these mother of pearl ones from Anthropologie). Since I want a mixture of rich jewel toned colored stones, I've been searching on Etsy for sellers that sell raw druzys and untumbled stones so I can curate my own color palette (this seller has some amazing stones!). I'm so excited to see the end product, as I imagine that every time I sit down to do my makeup or pass by the vanity, the stones will be so pretty to look at. The possibilities are endless! It's going to be hard to choose just 6! 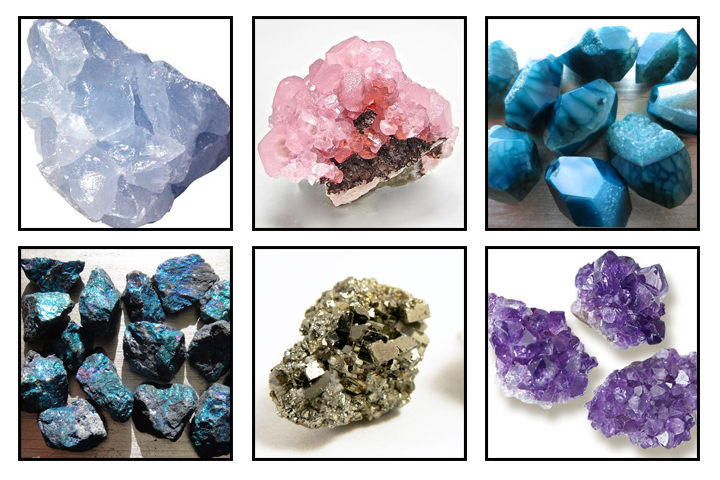 I know I want a mixture of rough stones, and the crystal like druzy stones. As a finishing touch, I might even "gold dip" the ends of the legs to make it look even more glamorous. Stay tuned for Part 2 if you're interested in seeing the finished product!